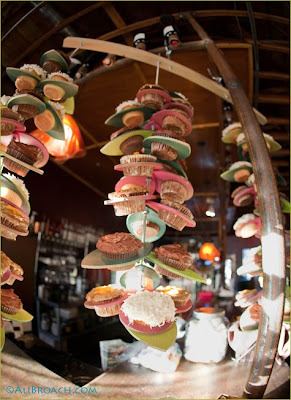 Simply Southern Girl: Flying Cupcakes!!! Thank you to my friend Heather at Champagne and Cupcakes, for sharing the below photos with me! 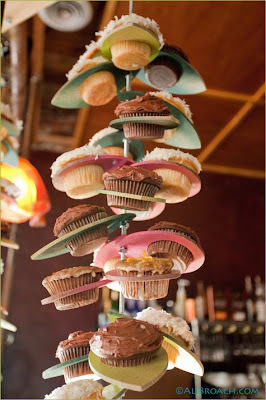 I love, love, love the cupcake presentation. I am not sure where she found the images, other than the Alibroach.com noted on the photo.. but had to share as it is one of the neatest presentations I have seen in a while!!! ahh thanks girl, I always like to give credit where it is to.. So fun right! Make sure you register for the give away! This reminds me of Alice in Wonderland for some reason! Cool display! Thanks for the comment.. I can totally see that!